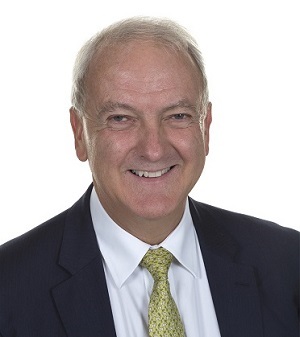 Sir Bruce Keogh, the former National Medical Director for NHS England, will chair the judges’ panel for the 37th annual HSJ Awards – the world’s largest healthcare awards programme. In this newly created role of chair, Sir Bruce will lead around 180 judges who will scrutinize entries for the awards, which recognise healthcare professionals and institutions that continue to innovate and improve services for patients. Sir Bruce’s responsibilities will include recruiting new judges and reviewing judges’ scores and commentary. He will also ensure that the process for the awards scheme, which includes eight new categories, and will provide individual feedback on each entry this year for the first time, remains fair and transparent. Note to Editors: About HSJ HSJ is the only title to cover all aspects of publicly funded healthcare, providing news, analysis, best practice information and advice from the most powerful people in health, for the most powerful people in health. The HSJ audience is formed of healthcare leaders from both clinical and non-clinical backgrounds and both public and private sectors. To find out more about HSJ click here. Wilmington plc is a dynamic and expanding company with a common aim – turning knowledge into advantage. Wilmington plc provides information and training to professional business markets within the Risk and Compliance, Finance, Legal and Insight sectors. Wilmington plc enables professionals and their organisations to enhance performance by providing high quality, relevant and reliable information, education and knowledge. Wilmington plc are underpinned by the core values of enhancing, enabling, collaborating and innovating. To find out more about Wilmington plc click here.